The work in the photos below was performed by member porcelain veneer dentists of the www.mynewsmile.com cosmetic dentistry referral network. 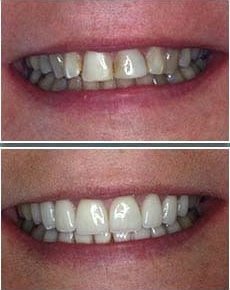 Click here to see some more pictures of porcelain veneers done by Dr. David Hall, the author of this web site, or page two of porcelain veneer pictures by dentists in our referral network. 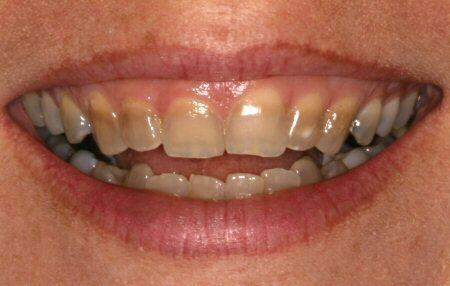 Lisa, pictured below, had very dark, worn, slightly crooked teeth, darkened apparently from tetracycline stains. 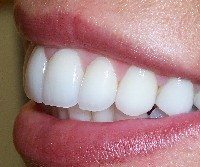 A complete set of porcelain veneers, upper and lower, gives her a beautiful, radiant smile that she won’t hesitate to show others. It is very difficult to get teeth stained this darkly to look natural and beautiful this way. 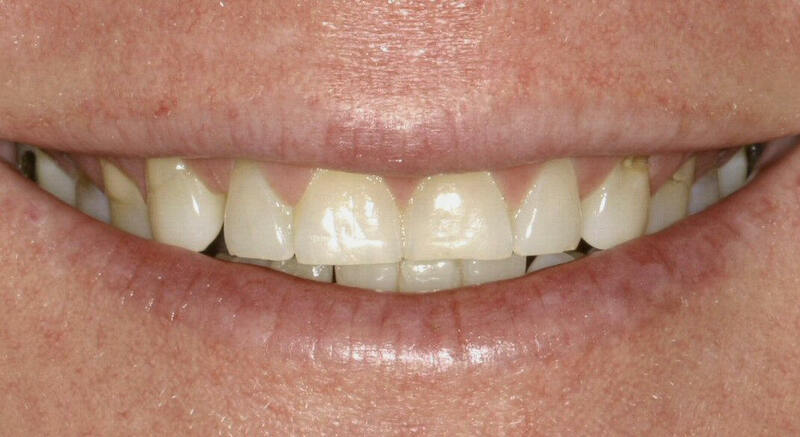 This work was done by porcelain veneer dentist Dr. Craig Carlson of San Antonio, Texas. Sean’s teeth (pictured below) were pitted and unsightly. 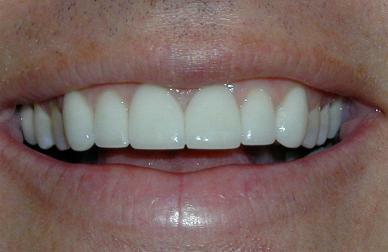 Porcelain veneers on the upper teeth only gave him a lovely smile. In the enlarged version of the picture, you can see how beautifully natural this work is. This work was done by Dr. Craig Carlson, cosmetic dentist in San Antonio, Texas. 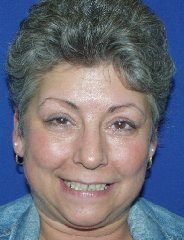 Deb (below) hardly looks like the same person after her porcelain veneers by Drs. Blaine McLaughlin and Karen Blair in Cedar Rapids, Iowa. Her teeth were gray, worn, and had a gap in the front. 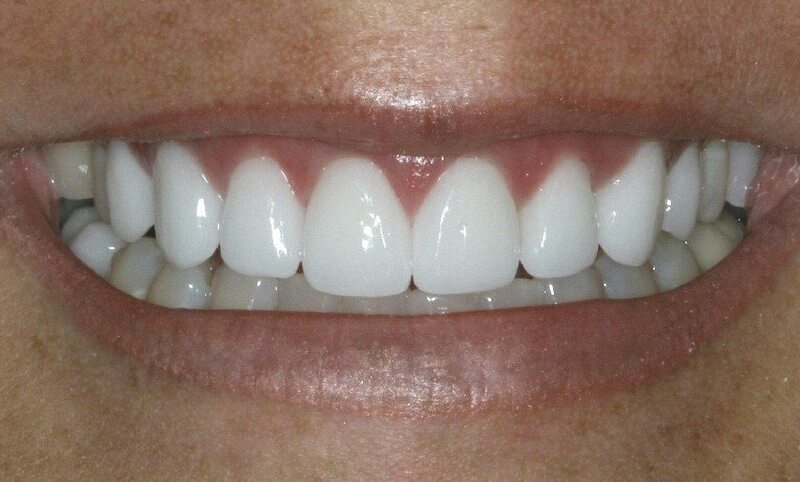 New porcelain veneers with a nice bright color has made Deb more confident and eager to flash her smile! Steve’s teeth were shortened from wear, giving him a flat look that made him appear old. Porcelain veneers on the upper and lower teeth made his smile look young again. 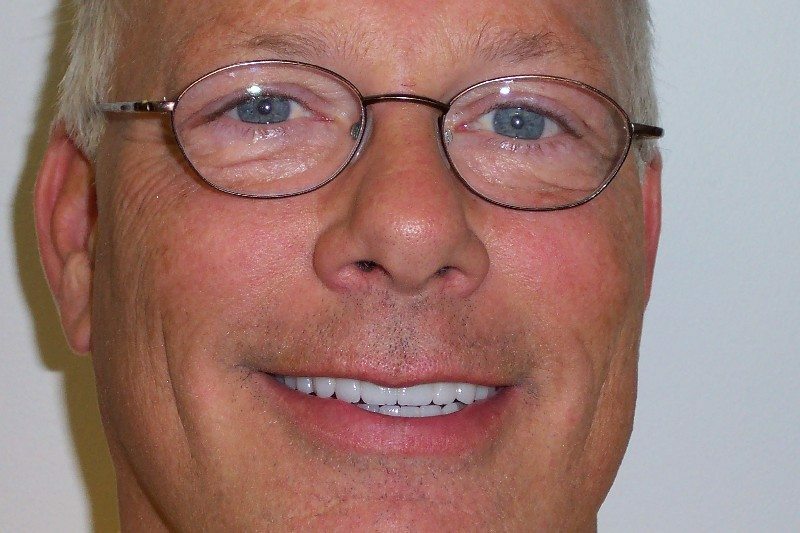 This work was done by Dr. Craig Carlson, a mynewsmile.com cosmetic dentist in San Antonio, Texas. 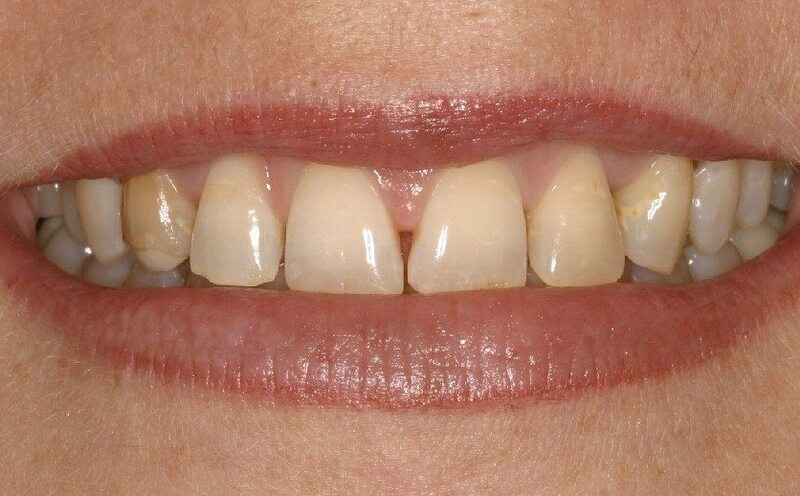 The patient below had a gap between her front teeth, teeth slightly out of line, discolored, and with poor shaping. The beautiful set of porcelain veneers looks so natural, no one, no matter how closely they looked, could tell they weren’t her own teeth. Notice the subtle halo effect on the edges of the teeth-a mark of master craftsmanship that you will not get from your regular family dentist. This work was done by Dr. Gary Radz, cosmetic dentist in Denver, Colorado. 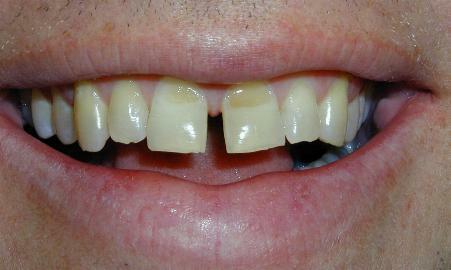 Larry (below) had eroded and dark teeth. 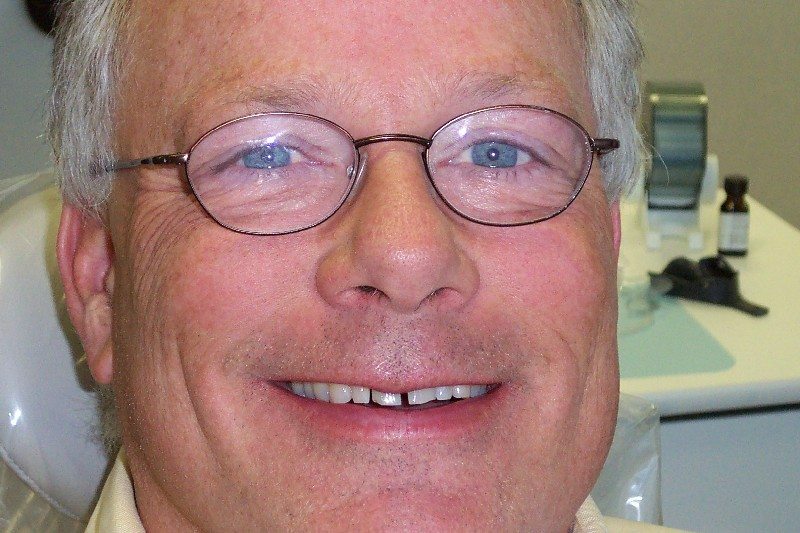 Dr. Craig Carlson, a www.mynewsmile.com dentist from San Antonio, Texas, made him a set of porcelain veneers to re-shape and brighten his smile. One way to tell quality veneers is by the condition of the gums. Note, especially in the magnified “after” photograph, how Larry’s gums are pink and healthy-looking-a sign of quality workmanship. For contact information for Dr. Carlson, click here. This patient had protruding teeth. 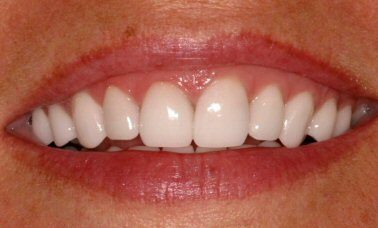 Notice how porcelain veneers can re-shape them to a normal profile. The end result looks so natural that you can’t tell it’s porcelain. This work was done by Dr. LeCavalier of Westminster, Colorado. This is another case from Dr. Craig Carlson of San Antonio, Texas. 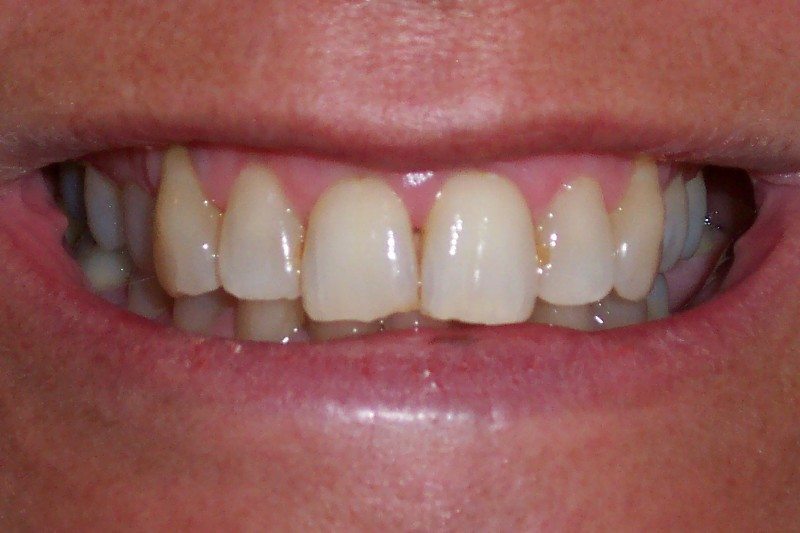 Julie, below, had gaps between her teeth, and they were discolored and poorly shaped. Notice between the two front teeth of the “before” picture. This is what cosmetic dentists call a “black triangle.” General dentists who think they are cosmetic dentists but haven’t had the proper training will often end up with “black triangles” in their finished work. It takes some expertise to know how to be sure the gum tissue fills in that hole without making the tissue inflamed. Dr. Carlson has done great work in this case. Notice how, with the case below, the patient’s lips in the “before” photograph are tightened in an unconscious effort to hide the smile. The “after” photograph shows them more relaxed. This is very common with cosmetic dental work. This work was done by Dr. LeCavalier, a cosmetic dentist in Westminster, Colorado. 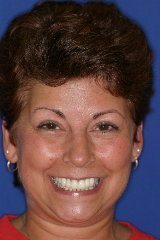 Here is porcelain veneer work from Dr. Peter Ciampi, our recommended cosmetic dentist in Monmouth County, New Jersey. The stains, chips, and unevenness are all corrected in the after picture. Notice how natural her teeth look now. 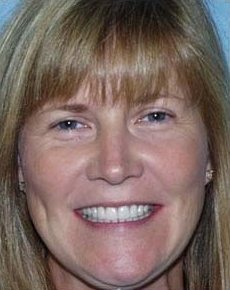 She had porcelain veneers on both the upper and lower teeth. 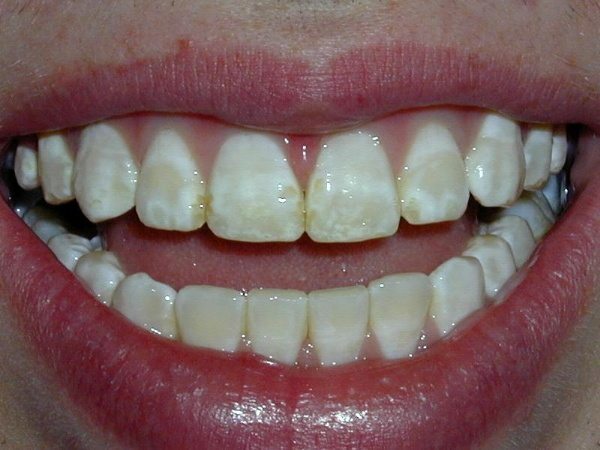 This patient used to hide her teeth when she laughed, but now the self-consciousness is completely gone. Read more about Dr. Ciampi, click here. 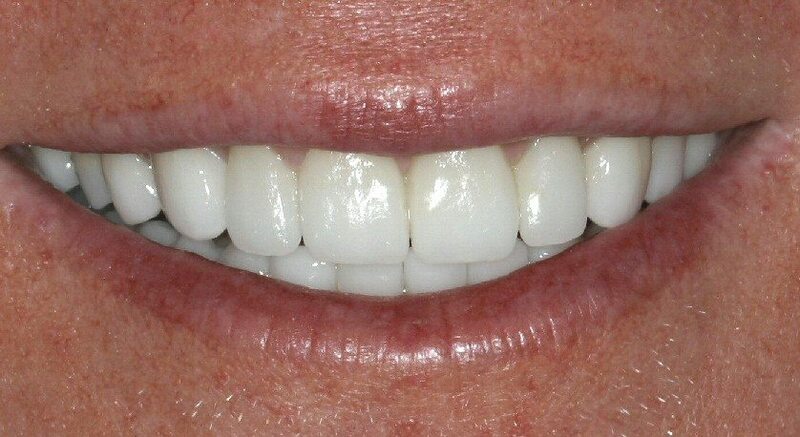 Here is another case of beautiful porcelain veneers from mynewsmile.com porcelain veneer dentist Dr. Ross LeCavalier, in Westminster, Colorado. For more information about Dr. LeCavalier, please see the page of Colorado cosmetic dentists. This website was written by Dr. David Hall. Click here to ask Dr. Hall a question. Basic information about porcelain veneers. Find out what porcelain veneers cost, based on a survey of expert cosmetic dentists around the country. 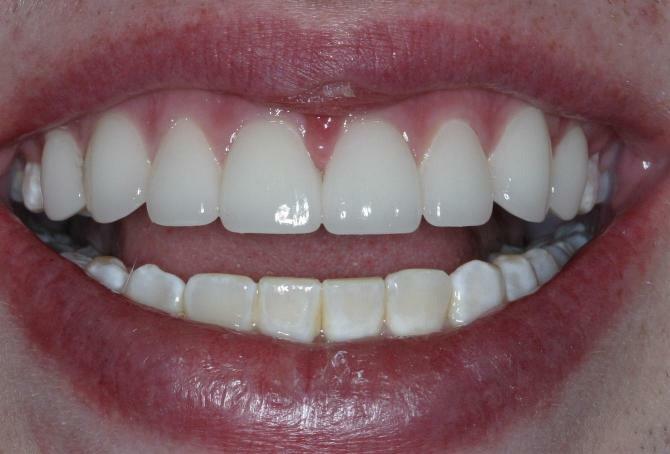 See pictures of porcelain veneers. Read about this procedure - how an expert cosmetic dentist creates your new smile. The art of smile design. Taking care of porcelain veneers. Can they be made of composite to save money? Read more about smile makeovers. 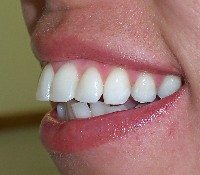 Other options for fixing crooked teeth. Read about da Vinci veneers. DURAthin veneers are extra thin but still beautiful.